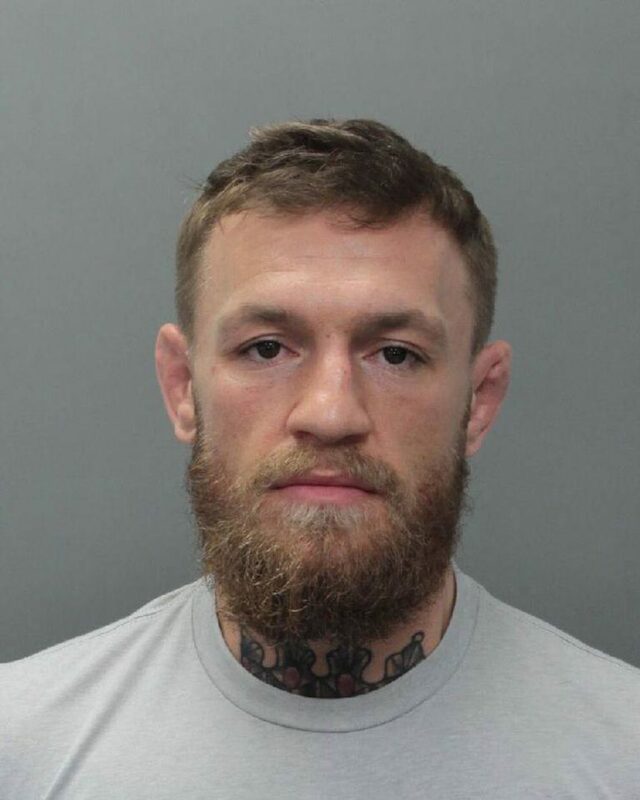 Home › MMA › Conor McGregor Arrested On Felony Robbery Charge! Conor McGregor was arrested for allegedly smashing a fan’s phone. According to a police report obtained by TMZ Sports, the alleged incident happened outside the Fontainebleau hotel in Miami Beach on Monday at 5 a.m. Reportedly, the mixed martial arts fighter and the fan walked out of the hotel at the same time when the phone owner tried to take a pic. Allegedly, the 30-year-old slapped the phone out of the victim’s hand, causing it to fall to the ground. Allegedly, the Irishman stomped on the phone several times, damaging it. Cops say McGregor then picked up the phone and walked away with it. The whole scene was reportedly caught on surveillance footage. When Conor reportedly went back to his Miami home, the phone owner filed a police report. Authorities then went to the fighter’s home and arrested him just before 6 p.m. The boxer was booked for robbery/strong-arm and criminal mischief over $1,000. He is currently being held on $12,500 bail. It appears he and the fan were leaving LIV nightclub, which is inside the hotel. The former Ultimate Fighting Championship featherweight and lightweight champion has been in South Florida for the past few days with his girlfriend, Dee Devlin, their son Conor Jr., and other family members. In fact, McGregor rented out the Versace Mansion to celebrate his mother’s birthday. 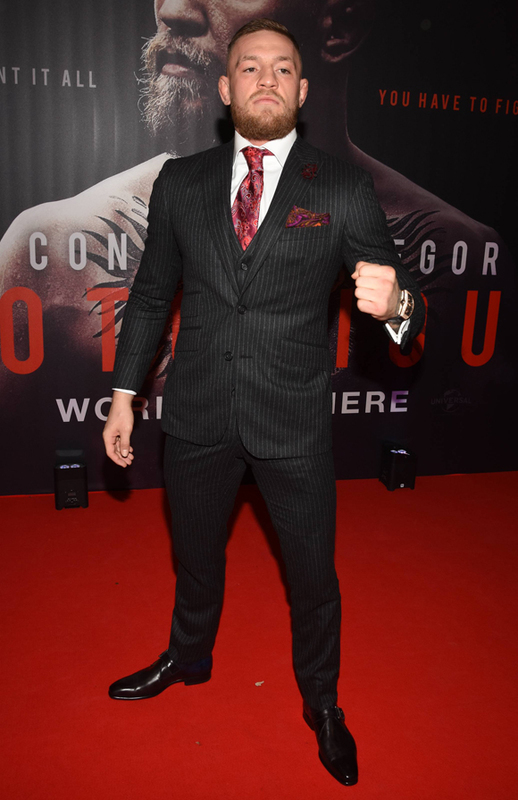 As we reported in April 2018, McGregor faced multiple charges — including three counts of assault and one count of criminal mischief — after he was caught on video smashing a window on a moving bus in NYC. The bus carrying multiple MMA fighters was leaving the parking structure at the Barclays Center when McGregor and his crew allegedly chased it down and attacked it as it kept rolling away. ESPN reports UFC fighter Michael Chiesa was injured in the incident, suffering several cuts to the face. He ended up pleading guilty to a disorderly conduct charge, and was sentenced to three days of anger management courses, and five days of community service.